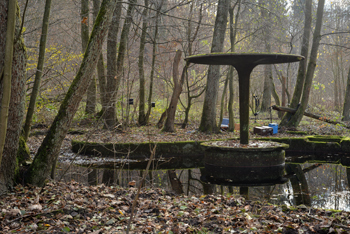 Music composition for Wildcats near the German Town of Saarbruecken, played in a region where most of the wild population of Wildcats are still living. (with sientific backup & research). 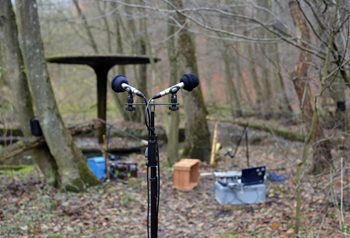 The music was composed by Marek Brandt, electronics, sounds, Fieldrecording (on site) and Fabian Niermann who is a known Saxophon Player deep in the roots of improvisational Music. 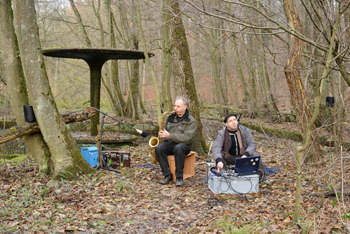 The composition was made as an fictional day of the Wildcats, including samples from bushes and trees, grass and leaves, hiding, hunting .. resulting in an abstract sound composition of the 2 musicans / performers. Developed was this performance in a time frame of over 2 month, including a research and peparation and the performing day.